Set your strategy and group your stories. Measure your campaign's performance. Add stories along the way and assign collaborators. Go to 'Campaigns' and click on 'New Campaign' (button in green). 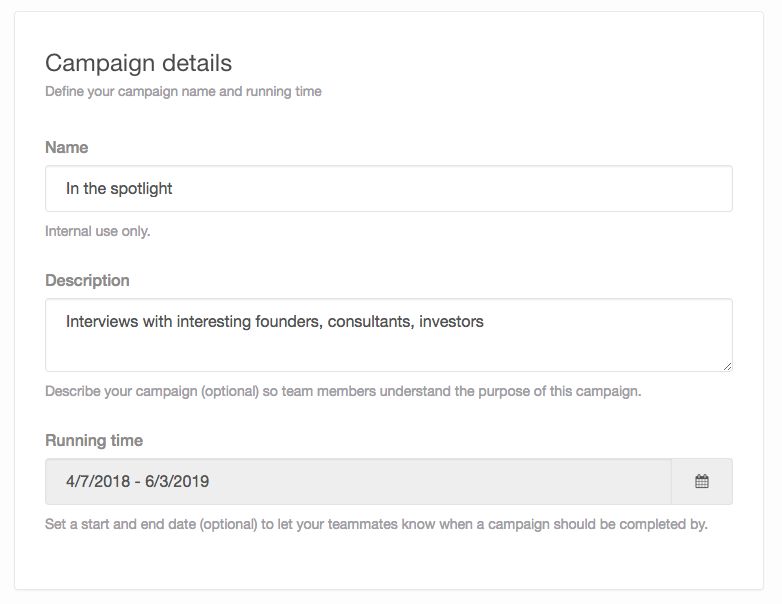 Define your campaign name, description and running time (start and end date). You can add other users (publishers or owner) as additional managers. Click on 'Save and proceed'. Congratulations, you made a new campaign. At the moment, it's empty. 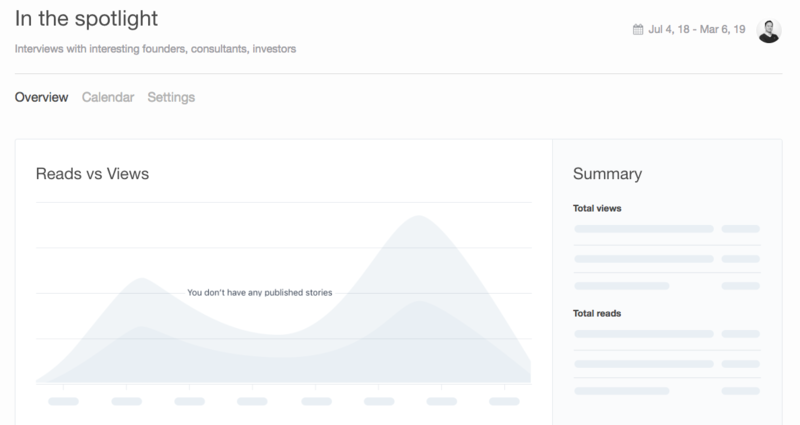 Stories you already made, can be added via Stories overview. You can plan new stories, that are already part of this campaign. For instance, for this campaign, you know you have 1 interview per month, so you can plan (and assign) accordingly. How to add existing stories to a campaign? Go to Stories overview. Click on the arrow of the story you want to add to the campaign. Select the campaign (or create a campaign from here). If you go back to the campaign, you will see that the story is added. How to add new stories to the campaign? Very simple. Just add a new story title in the campaign overview. 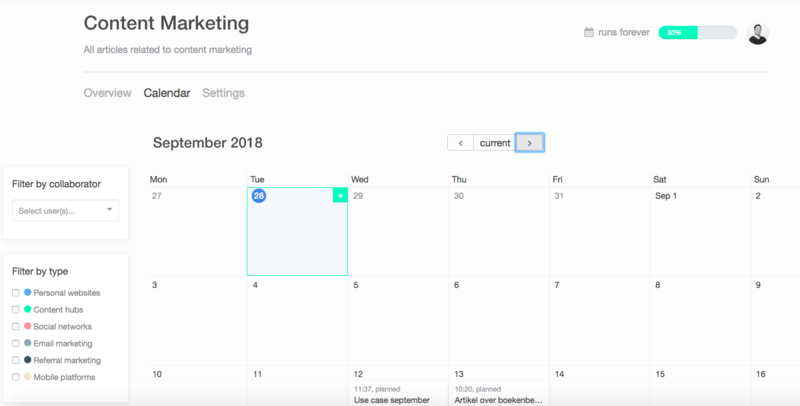 Fill in a publication date and click on the button 'Add Story'. Add other new stories accordingly. Click on the + button to assign users to the story. They get notified via email that they are invited for this story. If you want to add an editorial brief: click on 'Edit' and follow the instructions in this article. 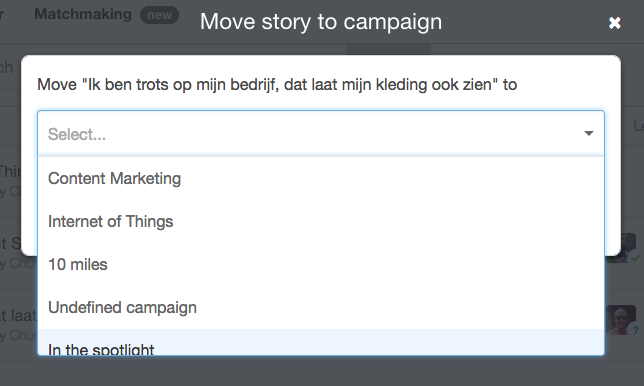 In the future, you will be able to add existing stories from the 'Campaigns' page itself, instead of going to Stories overview page. 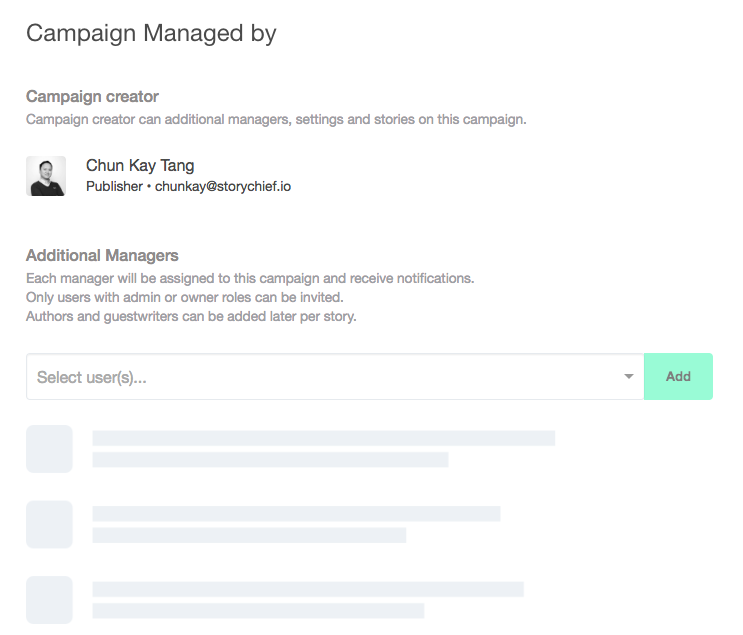 You will be able to add a story to more than 1 campaign, and you will be able to bulk select multiple stories to a campaign.